This Busker model comes equipped with a satin finished Gusto style blade and a gunmetal titanium frame lock handle with gold anodized hardware. 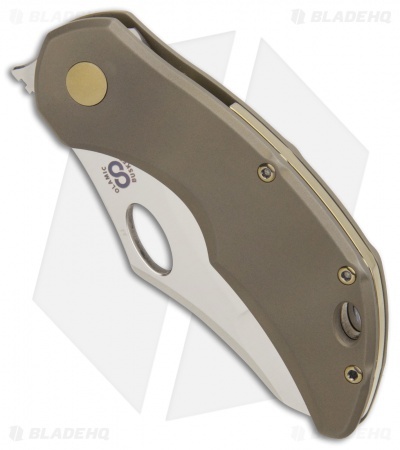 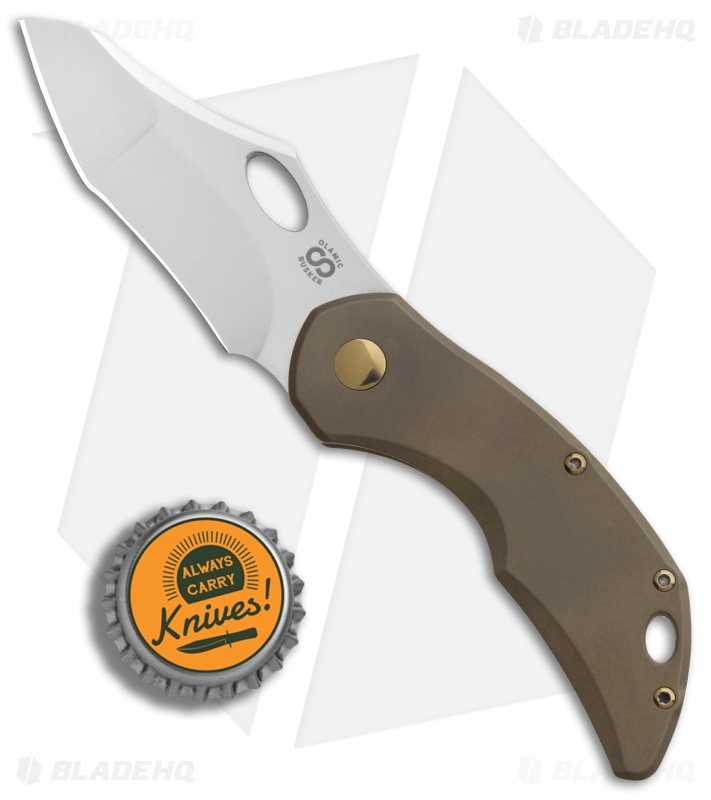 The Olamic Cutlery Busker offers a compact and stylish design for all of your EDC cutting needs. 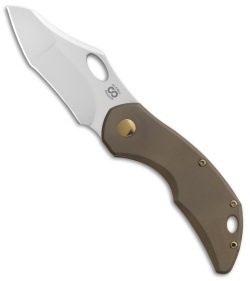 It sports a curved titanium handle and a modified sheepsfoot blade that opens with a smooth tang flipper. There is also a thumb-hole opener for more traditional blade deployment. 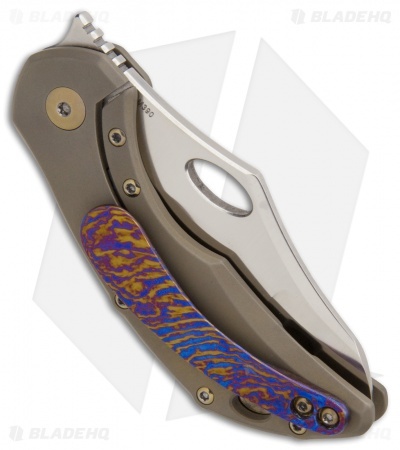 Gold anodized hardware and a timascus pocket clip finish off the striking design. Item includes a timascus pocket clip for secure tip-up carry.